This little lady is 19 months old already and she came yesterday for her 4th photography session. It took a while for her to warm up and smile but once she started she was a going concern! Here is a very lovely little girl! Buy 5 prints of any size and get the 5th one free. Buy 10 prints of any size and get 2 free! The second way is by referring someone to me. 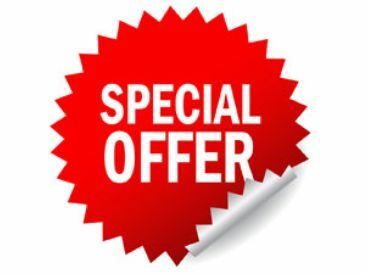 For every person that you refer that comes for a session, you will receive a $50 credit towards prints. Don’t delay in grabbing these limited time specials! They will be available until April 15th only! The Paper is Almost Free! There is a common misconception among the public about purchasing digital images from professional photographers. 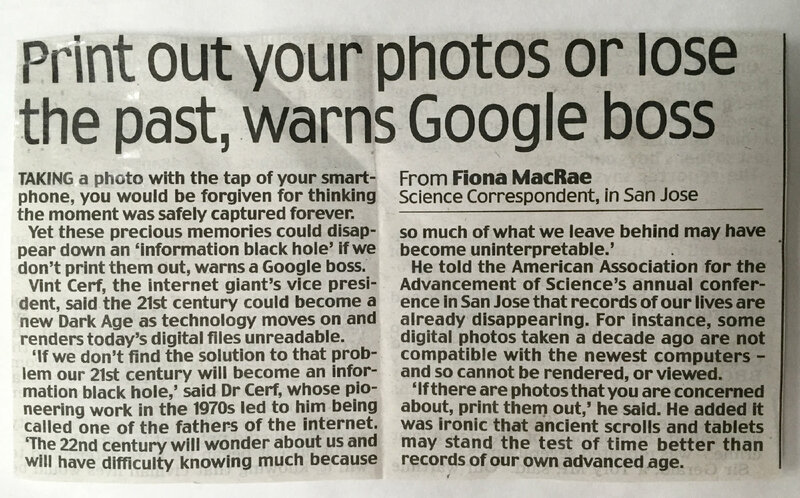 Their idea is that because the image is digital, it does not have a cost. Nothing could be further from the truth. I created this graphic to illustrate some of the costs of running a photography business and producing an image. 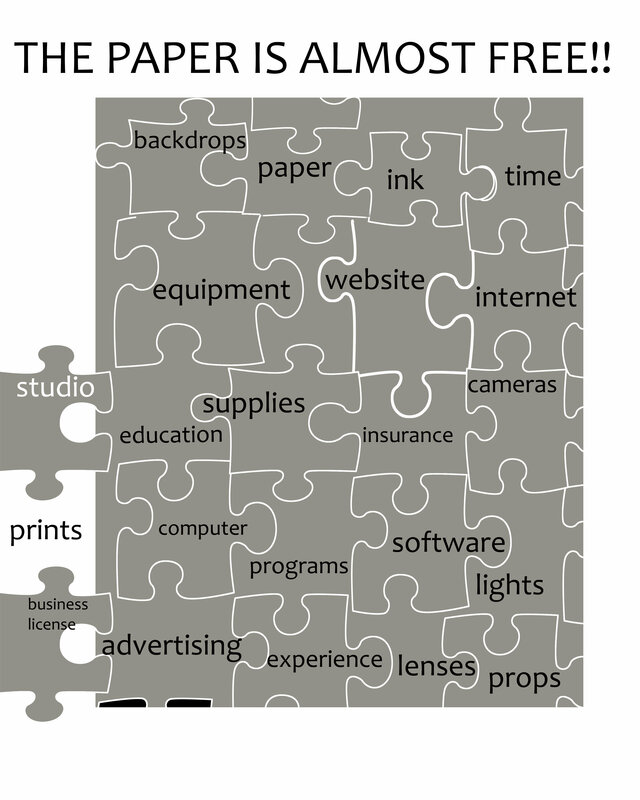 There is a cost to printing an image on paper, but it is a small percentage of the costs of creating that image. I am not in the business of selling paper. I am in the business of selling my art. I will sell a digital image to you. It will be the same price as an 8×10 print; with or without the print. 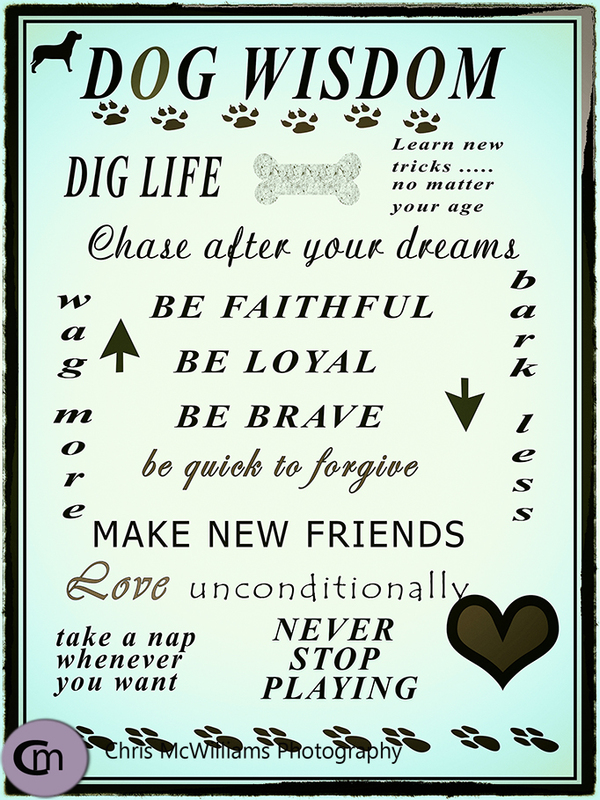 I love dogs and I know a lot of my clients do too. I created these 2 dog posters this past year. The first one is hanging at my front door of our 3 beasts! 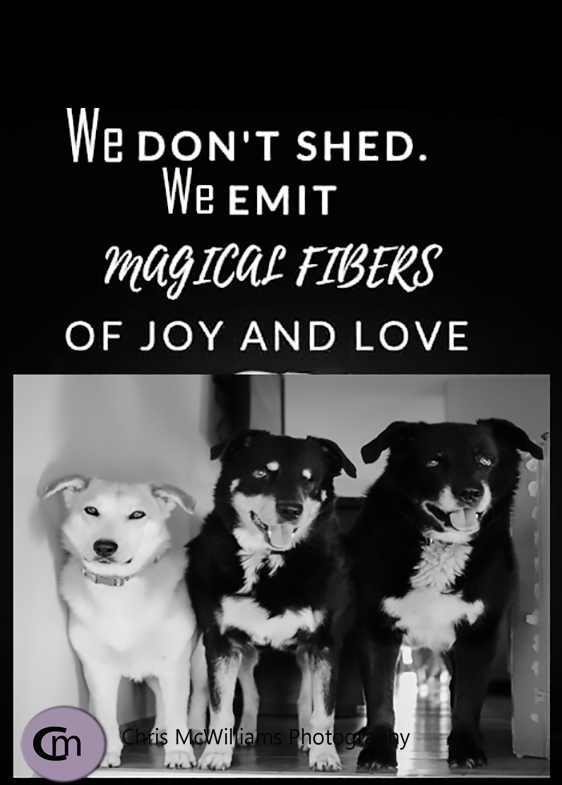 I can customize this poster for you if you have dogs that shed. Contact me if you are interested and we can talk about sizes, prices and the picture of your dog that we will use. I have this poster below hanging in our bathroom at Victoria Beach. I love the dog (people) wisdom in it. Let me know if this is something you would be interested in purchasing.